Where did you spend the cash that you took out of the ATM yesterday? Track Your Cash helps you remember by asking you to check your wallet every day and record what you have left. 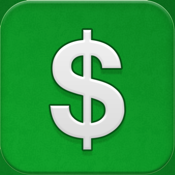 Track Your Cash is *not* a fully featured personal finance app. But if you use an app like Quicken to categorize your cash expenses, this will help you fill in the blanks so you aren't trying to find $150 in missing transactions at the end of the month.